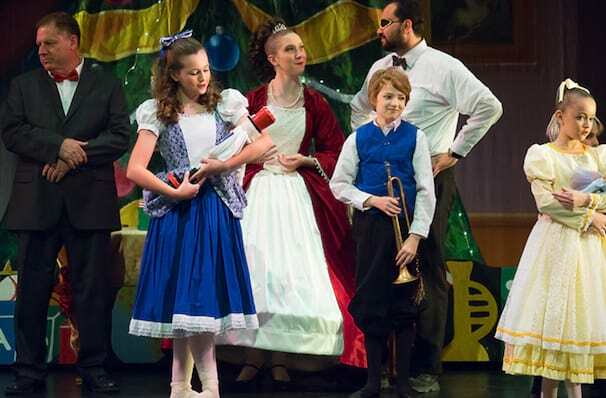 Why See Arizona Youth Ballet - The Nutcracker? Join the Arizona Youth Ballet as they present their wonderful production of this holiday classic. 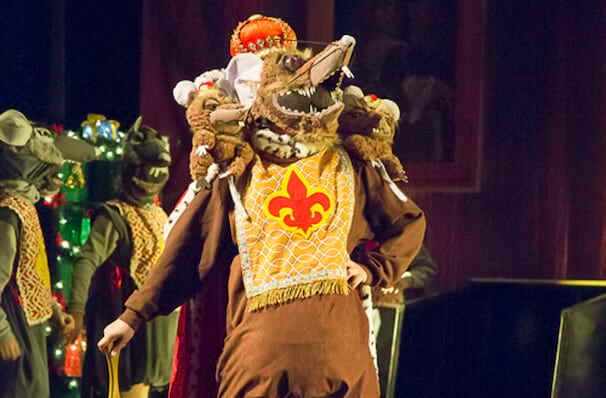 A glittering spectacle full of beauty and magic, E.T.A Hoffman's tale is a glorious adventure that features dancing mice, a trip around the world, a handsome nutcracker prince, the Sugar Plum Fairy, and many more unforgettable delights. Although first written in 1816, it wasn't until 1892 that Tchaikovsky added his enchanting score, making it the ballet we know and love today. Don't miss the opportunity to catch this performance by the Arizona Youth Ballet, a Pre-Professional Youth Ballet Company led by Artistic Director Christina Hampton, it's one the whole family will love! Sound good to you? Share this page on social media and let your friends know about Arizona Youth Ballet - The Nutcracker at MCC Performing Arts Center. 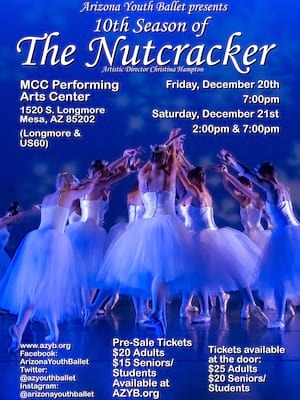 Please note: The term MCC Performing Arts Center and/or Arizona Youth Ballet - The Nutcracker as well as all associated graphics, logos, and/or other trademarks, tradenames or copyrights are the property of the MCC Performing Arts Center and/or Arizona Youth Ballet - The Nutcracker and are used herein for factual descriptive purposes only. We are in no way associated with or authorized by the MCC Performing Arts Center and/or Arizona Youth Ballet - The Nutcracker and neither that entity nor any of its affiliates have licensed or endorsed us to sell tickets, goods and or services in conjunction with their events.